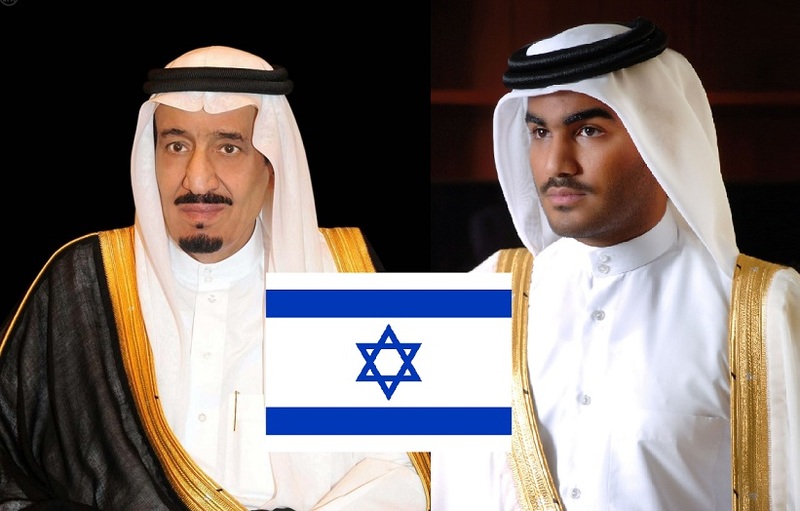 JNN 16 June 2015 Doha : The Race is ON , and Both the Wahabi Ruled States Qatar and Saudi Arabia are wasting no time in improving their ties with the Zionist regime of Israeli, a move tantamount to an act of treason against the Muslim World and especially the Palestinian issue, which the two countries have expressed verbal support for. Yet, it seems actions speak louder than words. For Saudi Arabia, the prospective alliance would serve a common interest and that is to sabotage a potential deal between Iran and the p5+1 over Tehran’s peaceful nuclear program. Zionist Lobby of Washington in the region are teaming up as both the Saudi monarchy and the Israeli regime have made threats against such an agreement that they fear could give rise to Iran as an economic power, under the false pretext that it would give way for building nuclear weapon. Earlier this month, it was revealed that the incoming Israeli Foreign Ministry Director-General Dore Gold and former Saudi government adviser Anwar Eshki held a series of meetings in the US. However, this is not the first or last time that the two sides have convened on Meetings. Riyadh’s rival, Doha, could not stand by watching Saudi-Israeli ties unravel without resorting to similar connections. Like Saudi Arabia, Qatar has shared regional interests with the Israelis such as removing President Bashar Assad from power, a doomed-to-fail goal aimed at destabilizing the axis of resistance. Al-Manar, a Lebanese news channel, made public a visit by a top security Qatari delegation to Tel Aviv to discuss regional issues with Israeli officials, including joint support for Syrian opposition and terrorist groups. The source also disclosed that ties between the two sides have witnessed significant improvement. Qatar has time and time again expressed its support to the Palestinians, particularly following the Israeli wars against Gaza. At the same time, its so-called dedication to the Palestinian cause has not impeded its hosting of Israeli business offices or secretly seeking political alliance behind the Palestinians back. When the 2014 Israeli offensive against the Gaza Strip ended, Qatar promised millions of dollars in aid to help reconstruct the destroyed enclave. The Qataris failed to keep their promises on time and instead submitted to Israeli pressure in another example of their disloyalty. Only now are the construction efforts beginning to see the light. The Arab world declared Israeli regime as its arch enemy since the 1948 occupation and that’s why these countries are hesitant to publically sell out the Palestinians. Yet at a time when Arab support for the Palestinians is lip service, wealthy kingdoms like Saudi Arabia and Qatar are seeking to maintain their security through help from the Israeli regime, the kind of security that Gaza and the West Bank have never known. It may seem typical for the Israelis to ally themselves with the enemies of their enemies but it stands to reason that for the Arab states in the Persian Gulf to do the same at the expense of their “friends” means they have committed an act of political treachery. This entry was posted in Jafria, Middle East and tagged israel, Monarchies, Palestine, Qatar, Saudi Arabia, Zionist, zionist regime. Bookmark the permalink.